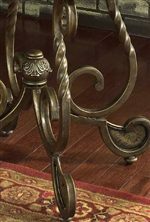 This chairside end table will provide your living room or family room with an elegant and exquisite accent with its immaculate composition. 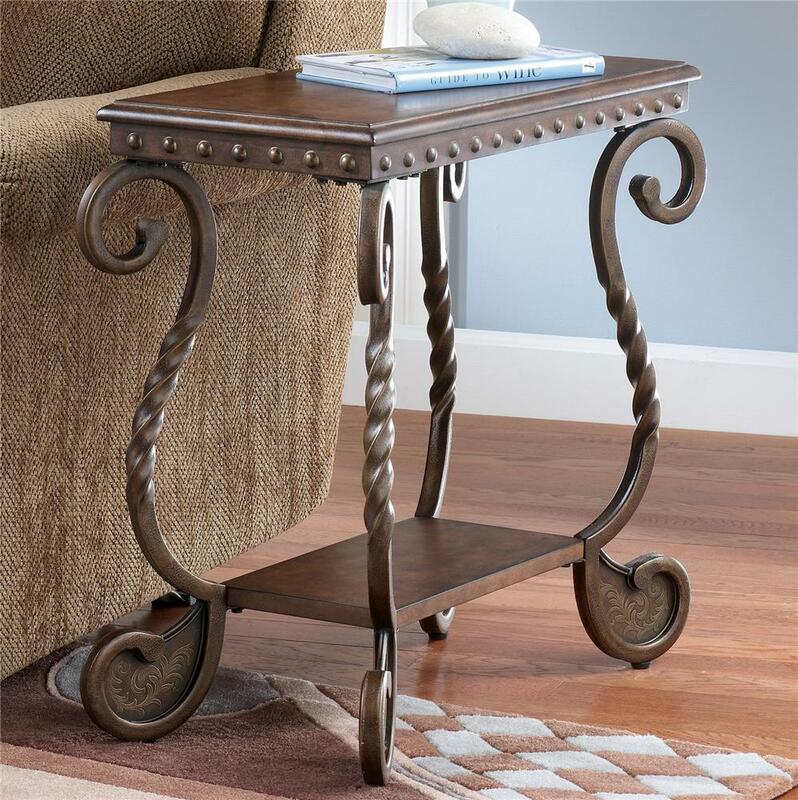 This end table provides you with grace, beauty, form and function. Its shelf has enough room to store everything from newspapers to remote controls, while the top can hold a decorative lamp or vase to complete the decor of the room. 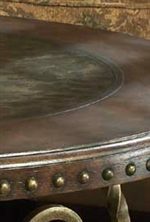 The dark stained framed top is decorated with nailhead trim around the edges, and finished with etched metal accents on the top. 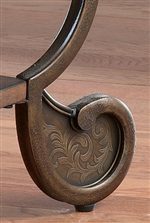 Twist square detail on legs completes the flawless composition, giving you the ultimate experience with minimal space. The Rafferty Chairside End Table with Shelf by Signature Design by Ashley at Michael's Furniture Warehouse in the San Fernando & Los Angeles area. Product availability may vary. Contact us for the most current availability on this product.